I grew up marinated in horror films and creepy stories. Most of my favorite childhood memories center around watching cheesy, gore-splattered horror flicks the local rental place was kind enough to check out to me and my other underage friends. We would take our allowance, head over there, one person would buy candy, one chips and soda, and one of us would load up our backpack with whatever horror films we hadn’t seen yet—usually two or three at a time. We’d spend all night laughing our butts off as another naked co-ed was sliced in half or brained with a hammer. This might make me and my friends sound like budding sociopaths, but the reason we found them so funny was the fact that most horror movies are so over-the-top silly they are completely unbelievable. For every good horror film, there are a thousand that are poorly made, with bright red corn-syrup blood and ground-up butcher shop castoffs in place of real brains. My friends and I knew it was all fake, which is partly why we found it so funny. People in horror movies are often so earnest it hurts. They can be covered in gore and still deliver cheesy one-liners with a straight face. And don’t even get me started on the ridiculous plots. I still love horror movies. My wife can watch some of these with me, especially if they’re older and extremely unrealistic, but I think she, like many people, finds the newer ones distasteful and disgusting. What’s the point of watching something so gross? she seems to ask (but rarely does aloud—she’s lovely like that). The point of this backstory is to explain that I’m not scared of very many things. I’ve made myself grow out of the terror of speaking in front of crowds (a good thing, since I do it for a living); I can interview with pretty steady nerves now, even when I’m desperate for the job or position; I’m even mostly over my fear of spiders and bugs! I can put them outside now instead of screaming and smashing things (sometimes). And, as I’ve just explained, I can watch just about any amount of blood and gore without batting an eyelash. But there is one thing I am afraid of: ghosts. Not demons, not serial killers, not aliens, but definitely ghosts. I don’t really know why this is the case. I’m not even sure I really believe in ghosts. My mom does, and I grew up with her ghost stories, and I’d be the first to admit that I absolutely did believe in them at one time. But I’m not sure that I do anymore. That said, ghost stories still scare the heck out of me. I’ve been wanting to write a ghost story—a haunted house story, to be more precise—for a long time. My first four novels were lesbian romances, so my newest novel, Gnarled Hollow, which focuses on a group of scholars in a haunted house, is a radical departure from what I’ve done before. I don’t mind admitting that I creeped myself out a few times while writing it, and I had the best time I’ve ever had with anything I’ve ever written. It was just so much fun to spend time with those characters and that house. Gnarled Hollow still centers on a budding lesbian romance—if there’s one thing in short supply in most scary films and books, it’s good lesbian representation, so that was important to me. I was also able to bring in many of my other favorite, usual topics—higher education, fine art, travel. But by putting all my favorite things into a haunted house, I think I’ve managed to find a new path forward as a writer. In fact, my new work-in-progress is also a ghost story. 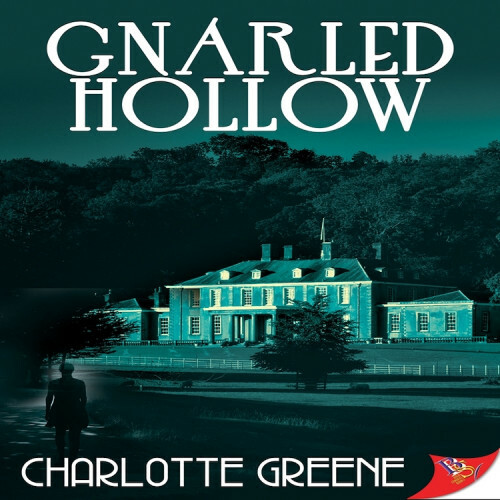 Gnarled Hollow is not by any means a horror novel, but I did aim for readers to find it a little spooky, a little creep-inducing, but with a lesbian love story to ward off the chills. And, I would argue, a little scare is always a good reason to snuggle up with a favorite cup of tea or with someone special. I hope people enjoy reading it as much as I enjoyed writing it, because let me tell you, this is only the beginning.